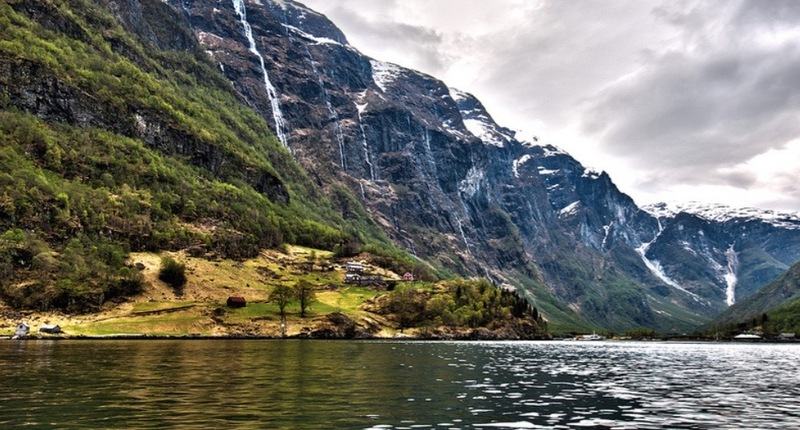 Gudvangen Fjordtell is the perfect base for exploring the many sights and activities available in the beautiful county of Sogn og Fjordane. 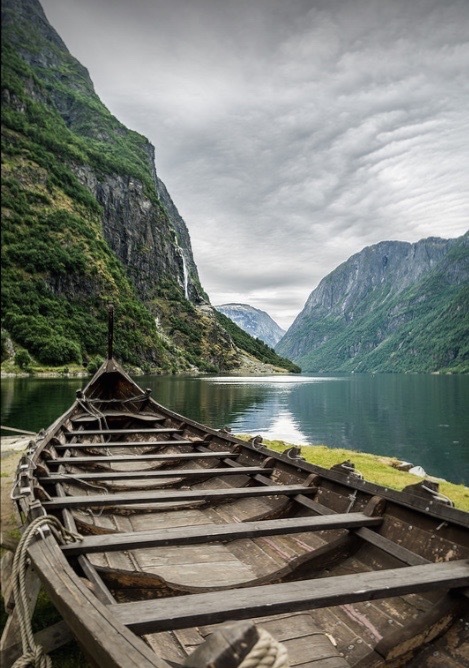 Gudvangen is an old Viking village with a lot character and a myriad of adventures waiting to be discovered, from the Nærøyfjord, which is part of UNESCO’s World Heritage list, to a multitude of attractions for all ages and preferences. 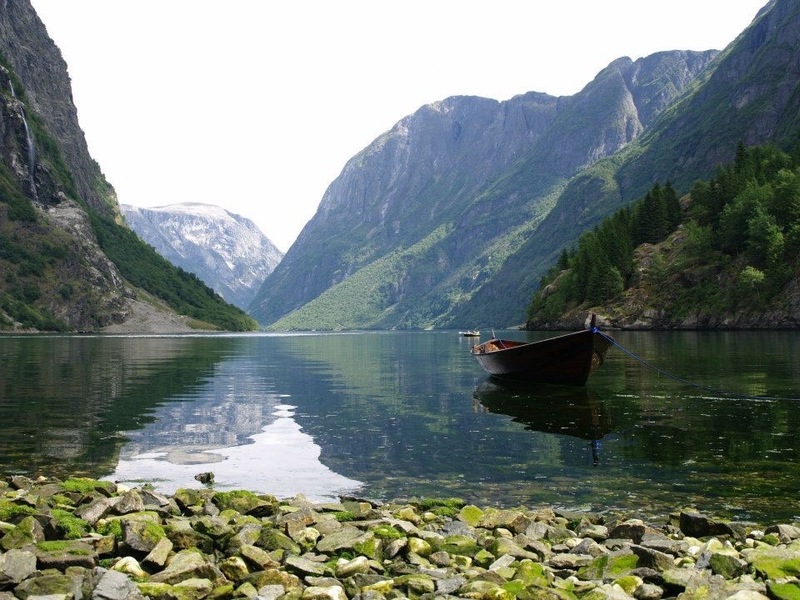 Visitors will be spoilt for choice between breathtaking valleys and fjords as well as ferry trips and historical sites. Just see for yourself! • Newly restored hotel annex from the 19th century with 10 budget ranged rooms. Gudvangen Fjordtell was built with the purpose that you at any time are able to enjoy the fantastic view of the glorious Næøryfjord. One third of the main building is designed in glass. This makes it possible to enjoy the view both in sunny and inclement weather. 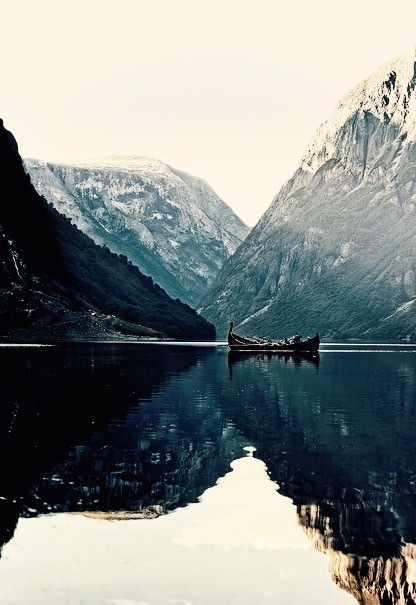 The Fjordtell is designed in a Viking style from approximately 1000 ad. The entire interior is designed and manufactured by local craftsmen, with inspiration from old Viking findings which give the interior a touch of nostalgia. 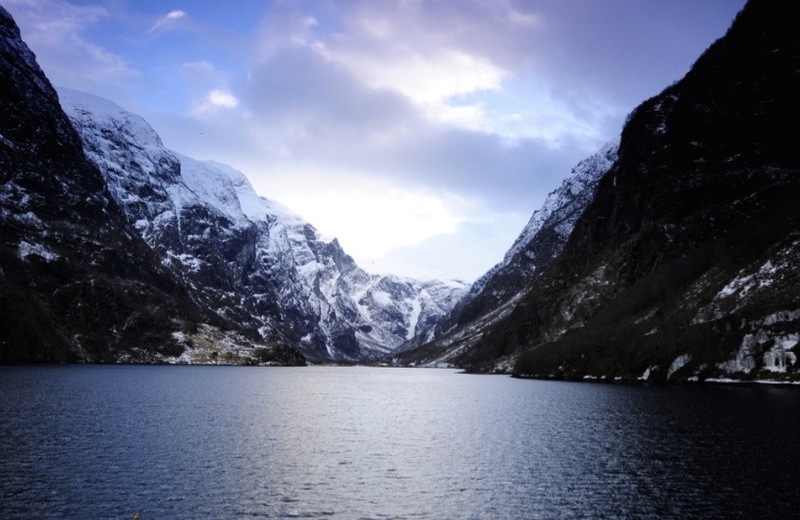 Gudvangen Fjordtell is nestled in the beautiful Gudvangen valley by the fjord and has been designed and manufactured by local craftsmen, who were inspired by the Viking heritage of the area. The hotel was built with the purpose that you at any time are able to enjoy the fantastic view of the glorious Næøryfjord. One third of the main building is designed in glass. This makes it possible to enjoy the view both in sunny and inclement weather. In the middle of the main building you find a large grill/fire place forged by craftsmen with ornamentation from the Viking era. In the middle of the restaurant we have the kings table with its own throne chairs. Our buffet table is built from anorthosite, a unique rock mined locally. This rock type is completely white and harder than marble. The buffet table weighs more than 12 tons, and is possibly the heaviest buffet table in the world! 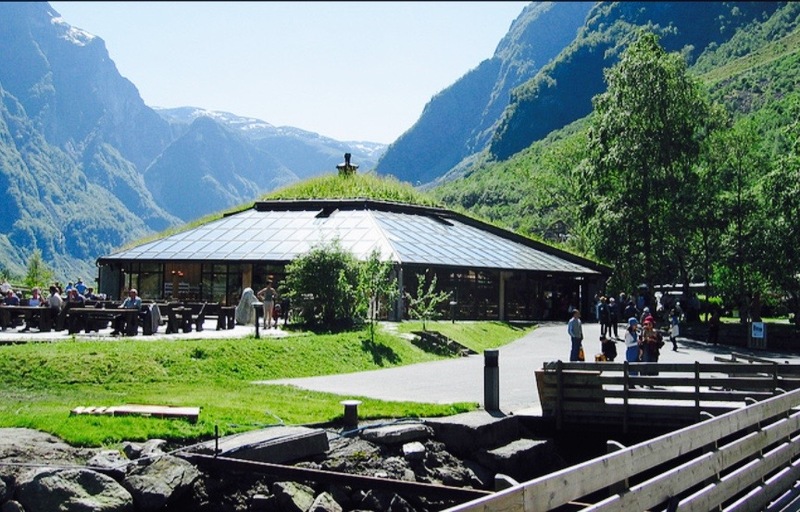 The Fjordtell is designed to blend in to the surrounding nature by using a grass roof which is both ornamental and functional. 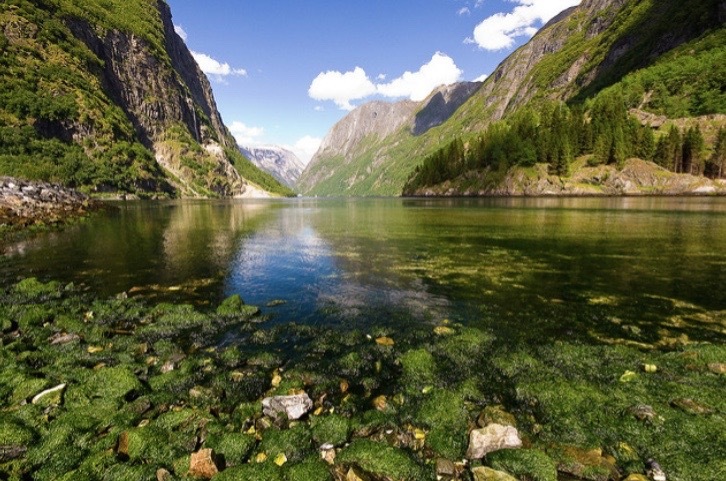 Tranquil spot surrounded by UNESCO-listed scenery - Nærøyfjord, surrounded by steep mountains and thundering waterfalls. Gudvangen Fjordtel is proud of cooperating with the finest local producers, so we can offer Norwegian seasonal cuisine based on organic, locally sourced ingredients. We have something to everybody for breakfast, lunch and dinner, so you can enjoy breathtaking view and follow the activities at the harbor while you enjoy some delicious food and drinks from our menu. The cafeteria is open between 11.00 am and 19.00 pm every day and we have a-la-carte dinner serving between 19.00 and 21.00. In the restaurant we also offer a breakfast buffet between 07.00 am and 10.00 am. We can also arrange special menus for groups and parties, and we can cater food in the Magic White Caves for pre-booked groups. We have two gift shops in Gudvangen. One is located in the main building of the Fjordtell and the other just next to the ferry dock.  We carry a large variety of souvenirs, viking effects, skin and fur products, jewelry, trolls, books, jackets, jumpers, t-shirts, cups and glasses, DVDs and other interesting products. All purchases over NOK 315 is tax returnable. Summer in Gudvangen is fantastic, and hiking in the Nærøyfjor is spectacular! The view from the highest peaks can take your breath away. An amazing uphill race from Bakka in the Nærøyfjord, to Rimstigen 725m.a.s.l. this year takes place on the 30th of July. Rimstigen is an old road that was used by farmers living along the Nærøyfjord before there were such things as boats and tunnels. Rimstigen is the steepest trail in the area with a climb of 750 meter in just over 2km of trail. On the way you get some wonderful views over the UNESCO Nærøyfjord. 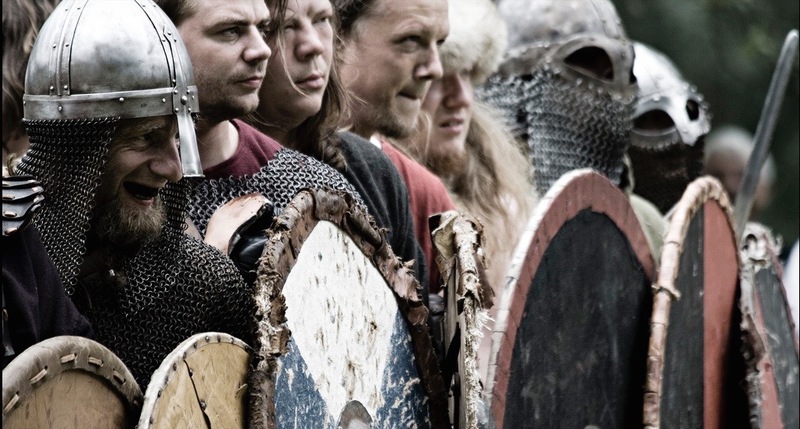 The Viking Market takes place in Gudvangen on 16th - 21st of July, 2019, offering a spectacular Viking life celebration. A lot of activities and experiences are prepared for children and adults. 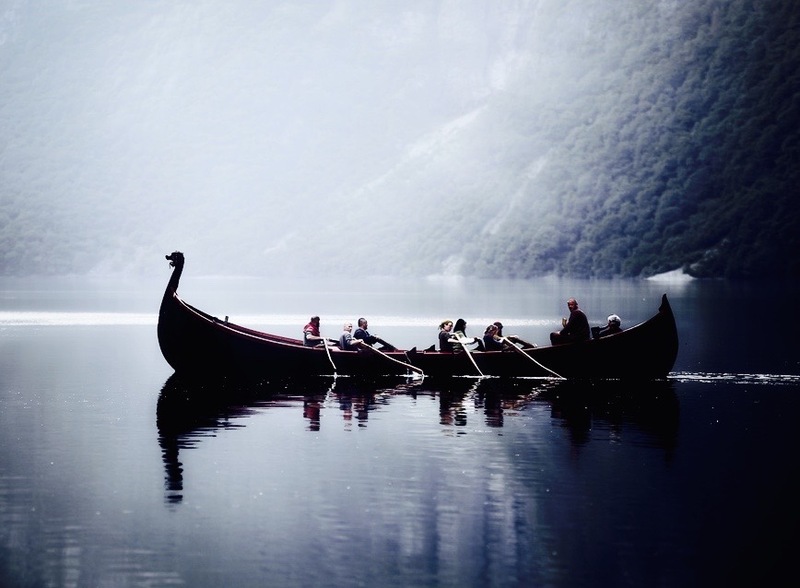 The visitors are involved into the world of Vikings during all the Festival, experiencing fighting, archery, theatre, concerts, Viking ship, fire shows, storytelling, historical ballgames, Viking wrestling and other animations. In the market nice historic goods and food are to be found. The Viking Market takes place in Gudvangen on 17th - 22nd of July, 2018, offering a spectacular Viking life celebration. A lot of activities and experiences are prepared for children and adults. Viking valley, The Viking experience. On the area where traditional Viking market is held each summer, a permanent Viking Village has been built. The Viking village is a place for memorable experiences, learning and fun activities. A place where you can interact with people re-enacting the past, all in accordance to historical elements. One of the most popular things to do in Gudvangen is a tour through the Magical White Caves, which leads you through a cave-labyrinth full of exciting shadows, lightening with Aurora (Nothern light), colours and sounds. You will also discover a large mountain room with a green lake as well as a stone bar and dining area.  It is truly a one-of-a-kind experience. The ordinary round trip takes from 30 minutes to 45 minutes and the minimum size of a group to visit or hire the Caves is set of 20 people. The tour through the cave-labyrinth begins in a welcoming hall where helmets and jackets are given to those who wish. The naturally white mountain walls, partly with running water and small lakes, gives quite incredible reflections and effects with the right use of lighting. The lights come and go, giving each individual their own special experience of the tour. Out on ‘the other side’ it is at first dark for a moment, before the walk literally continues through the rainbow, step-by-step, colour-by-colour, till you discover that you are in a large mountain room with a little green lake, flickering and playful lights make you feel that you are in another world. Here there are seats to sit on, small candles to light and set on the water if you wish, or you can continue towards the stone bar where refreshments are served. In Gudvangen you can find, second after the moon, the world’s largest deposit of anorthosite, a type of marble, which contains both gold and aluminum. The caves in Gudvangen are located about 8.2 km away from the Gudvangen ferry quay, right next to the E16 road to Voss. There is a bus parking area just outside the entrance. The excursion between 1st of May and 31st of September is open only for the groups. The cave-labyrinth itself covers an area of 250 by 150 square metres, criss-crossing in nooks and crooks. Around the corner from the bar is a dining area with tables and benches covered with reindeer skins, and also more private sitting-areas to sit down and absorb the magic atmosphere. Gudvangen is a good starting point for several mountain hikes, and in some places you can get all the way to the mountain edge and see straight down the fjord from an altitude of approximately 1000 meters. From Bakka (5 km from Gudvangen) there is a path going up in the steep mountain called Rimstigen. This path is very steep and with normal speed you use ca 2 hours to the top. At the top there is an amazing view down to the fjord below. Also you can walk the paths along the fjord and up the river. If you don’t want to drive through the long Lærdal tunnel, as an alternative you can drive over the mountain. 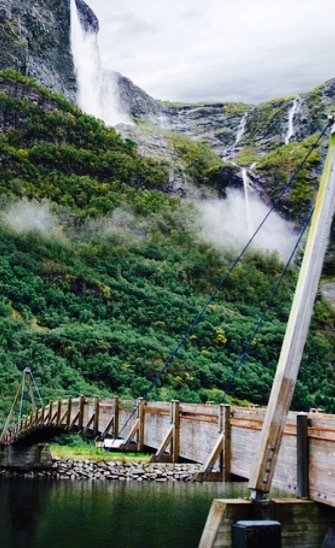 This is a scenic route and approx 6km from Aurland you get to a view point called Stegastein. 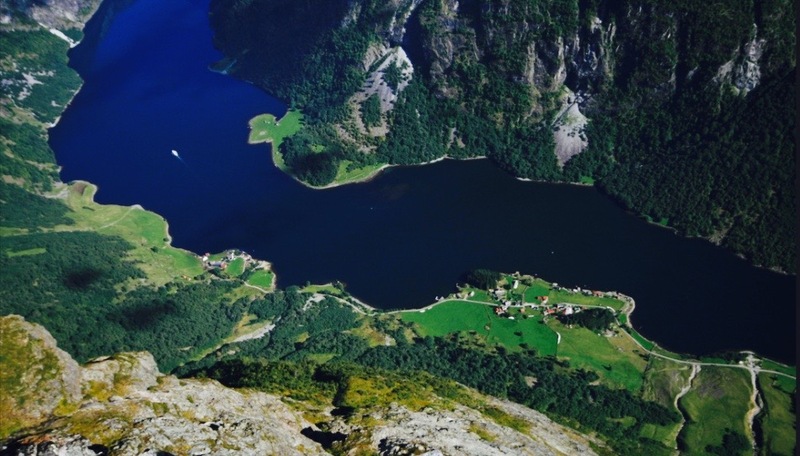 Here there is a platform which is 33 meters long and 4,2 meters wide located 640 meters over the spectacular Aurland Fjord offering you an breathtaking view. This construction won first prize in a national architectural contest and is well worth a visit. The Lærdal tunnel is located ca. 30 minutes drive from Gudvangen is the world’s longest road tunnel, with a length of 24509 meters. The tunnel is a part of the E16, which is the main road between Oslo and Bergen. The tunnel opened on the 27th of November 2000. Inside the tunnel there are three big halls that are light up so that the drivers don’t fall asleep in the long tunnel. The name Gudvangen means “Gods place by the water” and in the Viking era it was an important market place and communication centre. During the “black plague” in the 12th century all inhabitants of Gudvangen died, and it took several hundred years before life returned to Gudvangen (according to the old church records). In 1647 ad, a government minister called Hannibal Seierstedt started the Royal Mail route between Oslo and Bergen. The mail was brought from Oslo over the Filefjell to Lærdal and then on to Gudvangen, Voss and Bergen. Gudvangen then became a natural resting point for both postal workers and travelers. Due to the Nærøyfjord icing over in the extreme winter months, a primitive road to Bakka was constructed, where the mail was then brought over the fjord by boat. The mail the continued its journey by foot to a place called Styvi, where today you will find Norways smallest working post office. The post was then taken by boat to Lærdal and then further with horse and cart to Oslo. The first hotel opened in Gudvangen was in 1805 ad. During the 17th century the cruise tourists started to arrive in Gudvangen and more hotels opened. Gudvangen was in this time also a popular subject for Norwegian artists and several of the most famous paintings in Norway are painted in this area. Some of these artists include JC Dahl and A Tideman. In the 1840s the first Norwegian steam boat “Constitutjonen” started to bring the mail between Gudvangen and Lærdal. From the 1880s until World War One, a large number of foreign tourists visited Gudvangen where they could experience the steep mountain that emerges from the fjord. The increase in tourism was a direct result if the opening of the ferry route from Newcastle in England to Bergen. From Bergen ships transported tourists to Gudvangen in an early version of today’s “Norway in a nutshell” roundtrip, where the tourists were brought from Gudvangen up the steep road to Stalheim (stalheimskleiva) and back to Bergen. Gudvangen is located just off the E16, which is the main road between Oslo and Bergen. By car Gudvangen is located 331 km from Oslo and 149 km from Bergen. From Bergen there are several busses departing for Gudvangen daily. From Bergen there are also express boats departing for Flåm that correspond with the ferry from Flåm to Gudvangen. From Oslo there are also several busses departing for Gudvangen daily. If you travel by train from Oslo or Bergen you can take the train to Voss and further by buss to Gudvangen. Another option is to take the Flåm railway to Flåm and then take a bus or boat from there to Gudvangen.